I had never realised how hard skincare shopping was until recently. My skin has been going though a bad time and I was finding I was having teenage-like breakouts more and more frequently and at the ripe age of 29, my skin has started to show signs on ageing - great! I had bought and tested out SO many different products and brands, but if I am totally honest I hadn't seen a great deal of difference with most things. 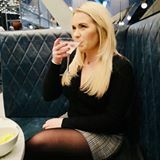 Recently I decided enough was enough and I wanted to find something that suits my skin no matter the cost, so I took to the internet for reviews, recommendations and ingredient research - what a minefield!!! "Olay Total Effects 7in1 Anti-Ageing Moisturiser is an all-in-one solution for younger-looking skin from the world's facial skin care brand. It helps fight seven signs of aging: visibly smoothes fine lines and wrinkles, helps skin to maintain its moisture, evens skin tone appearance, minimizes the look of pores, smoothes and evens out skin texture, enhances brightness, hydrates to restore firmer skin appearance." I am extremely impressed with the Olay Total Effects - if you want firmer skin then this beauty is definitely for you. My skin feels so much plumper and fuller and my lines have definitely reduced all within 4 weeks of using it. The products itself has very little scent and it applies smoothly leaving my skin non-greasy and it soaks it really quickly. A huge thumbs up from me! "Prep your skin to perfection with this over night gel and awake to skin that is ready for your morning regime. A night-time clarifying gel for dull and oily skin, to help clear break outs and reveal a clear and radiant complexion. Glycolic and salicylic acids combine to help resurface and purify skin by gently lifting dead skin away with a continuous deep pore cleanse action. By morning time, skin feels fresher and smoother with skin tone improved. Glycolic Acid - stimulates cellular activity and collagen synthesis to help reduce the appearance of fine lines and wrinkles, improve skin elasticity and firmness and boost radiance. Salicylic Acid - Penetrates into and unclogs pores and the skins surface, combating black heads and reducing blemishes. Niacinamide- Acts as an anti-inflammatory on the skin helping reduce the production of sebum, which causes large pores to develop, this process helps to reduce acne forming on the skin." I have been using this Nip+Fab product each evening for about 4 weeks also and it has definitely reduced my skin redness. I am not too keen on the smell, I don't even know how to describe it to you but it's not the most pleasant however I am going to keep using it to see if I see more of a difference as time goes on. The gel itself soaks into the skin really nicely and it doesn't leave a film on my skin, it has completely soaked in by the morning and my skin feels refreshed. Alpha hydroxy acids (AHAs) - These remove dead skin cells for more refreshed looking skin, so if you have dull skin this would help. Antioxidants - These are basically vitamins for the skin to protect it from damage, so if you have sensitive skin antioxidants can help protect it from things like UV rays, stress, pollution etc. Coenzyme Q10 (CoQ10) - This is something the skin produces naturally to keep your skin looking healthy but as we get older our body produces less CoQ10 so you may find this in anti-ageing products to assist your skin to keep firm. Collagen - This is a must in anti-ageing skincare as collagen helps keep skin firm, plump and less likely to wrinkle/sag. Elastin - As above, elastin is like collagen, it keeps skin firm and smooth. If you skin lacks elastin it becomes saggy. Glycerine - This is a must have ingredient for people with dry skin. It helps skin retain it's moisture as it hydrates the outer layer of the skin. Hyaluronic acid - This is a gel-like water holding molecule, if you have dry skin and want to hydrate it then this is an ingredient to look out for. Hydroquinone - Melanin is what our skin produces that causes coloured pigmentation so hydroquinone evens these patches out, whether that be sun spots, red blotches or pigmentation issues. L-ascorbic acid - This is a form of vitamin C that helps build collagen and elastin - see above for the benefits of collagen and elastin. Lycopene - This helps improve the skins texture and is classed as a powerful antioxidant, extracted from red fruits and vegetables. It also helps improve skin cell production. Niacinamide - This helps prevent melanin or pigmentation on the skin. Niacinamide can also relieved redness as it is an anti-inflammatory. 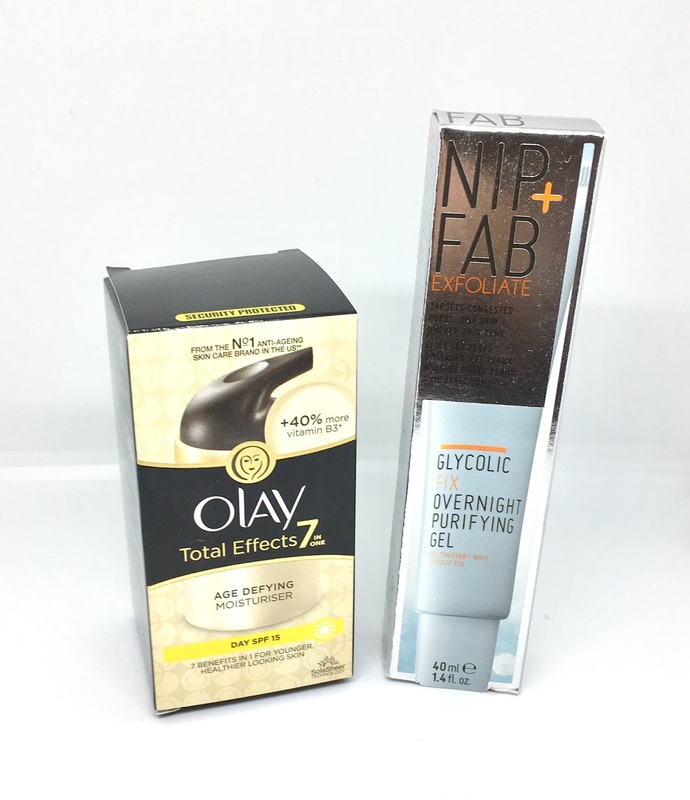 I am really glad I started using the Olay Total Effects, it's usually associated with the older lady but I think I will definitely continue to purchase it! What is your go-to skincare products? really want to try nip and fab! I love the ordinary skincare products at the moment!